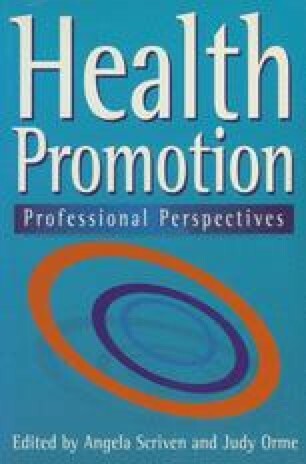 This chapter will focus on the main functions of voluntary agencies working in the health promotion field. The classification used describes pressure groups, service providers, information services, community and self-help groups. Most voluntary organisations, however, undertake a number of functions; for example, the National Childbirth Trust works with the Department of Health, organises a self-help network and is active in educating the public. A case study of Victim Support will be described to illustrate some of the ways in which a particular voluntary organisation can contribute to health promotion.